37.5 Hours - (Fixed term 1 year in the first instance). The details of the role(s) are contained within the Job Description & Person Specification document(s), however, Signpost Recovery and its partners in service delivery, aim to work within a strengths-based, recovery-orientated and outcomes focused approach that promotes service users, key stakeholders and local communities as responsible co-producers of health, well-being and recovery. Therefore, we value the contribution of every role in our organisation. Signpost Recovery believes in a community facing and asset based approach to all aspects of its care, treatment and support provision. Signpost Recovery complies fully with the Disclosure Scotland Code of Practice, issued by Scottish Ministers, in connection with the use of information provided to registered persons and other recipients of information by Disclosure Scotland under Part V of the Police Act 1997, or the Protection of Vulnerable Groups (PVG) (Scotland) Act 2007 for the purposes of assessing applicants&apos; suitability for positions of trust. Therefore, this post is classed as undertaking restricted work with children and or protected adults that must be covered by the successful candidate having undertaken a satisfactory- PVG Scheme Record for Restricted Work with Children and or Protected Adults. PVG provides a framework for the maintenance of a list of those who have been barred from working with children and or protected adults. Any individual who has &apos;been listed&apos; or &apos;put on the list&apos; will be committing a criminal offence if they do, or attempt to do; regulated work with children and or protected adults. If employed, should you then subsequently fail to complete your probationary period, you will be expected to meet the cost of Signpost Recovery applying for and administering their PVG application. Whilst this is subject to pricing beyond that of our control and may rise at any time, the cost for the administration and fees associated with a new application to join PVG are £59 and the costs for an existing member to have a Scheme Record Update is £18. 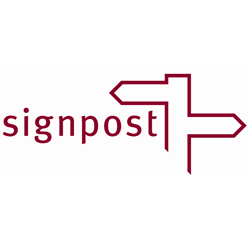 Signpost Recovery is Scottish based registered charity limited by guarantee (SC 033772). Signpost Recovery has grown considerably over the six years and has demonstrated year on year growth. We now have an annual turnover of £1.9 Million. Signpost Recovery is governed by a Board of Directors and is strategically led, managed and operated on a day-to-day basis by a Senior Management Team consisting of a General Manager and an Operations Manager. Signpost Recovery has objectives whereby we provide advice, information, support and access to treatment for clients and their families affected by substance misuse in the Forth Valley area- Stirling, Falkirk and Clackmannanshire. Signpost is now involved in a number of initiatives with Clackmannanshire Council, Falkirk Council, Stirling Council, Forth Valley Alcohol & Drug Partnership, NHS Forth Valley and Combat Stress for the provision of addiction, recovery, care and support services in community, outreach and prison settings. In addition to its main substance misuse service provision, Signpost Recovery now co-ordinates and/or provides a number of other social care and support services such as Clackmannanshire Healthier Lives (CHL) and the Social Inclusion Project (SIP). Whilst we are a ‘not for profit’ organisation we are using an entrepreneurial leadership approach whereby we are actively turning financial profit into &apos;social profit&apos; and are deploying resources to the benefit of our client groups and key stakeholders. For more information on Signpost Recovery please go to signpostrecovery.org.uk . Please complete the application which is available to download from this site, it’s preferable that these are then submitted by email to applications@signpostrecovery.org.uk, if however you wish to return the form by post, completed applications should be sent to Signpost Recovery, Units 1 & 2, Block 7, Cooperage Business Village, Cooperage Way, Alloa, FK10 3LP. Have you considered Working in Forth Valley? Excellent motorway links from Glasgow, Edinburgh and the surrounding areas. Given the geographical nature of Forth Valley a full UK Driving License and access to a car is required. Company benefits include 30-34 days annual leave (pro rata), 5% contribution to Company Pension Scheme, Childcare Voucher Scheme and access to a range of Post-Graduate study opportunities. For an informal chat about the posts please contact Norma Howarth, Operations Manager – Signpost Recovery on 07848457433. Please send completed applications to applications@signpostrecovery.org.uk and clearly state what post you are applying for. Signpost Recovery complies fully with the Disclosure Scotland Code of Practice, issued by Scottish Ministers, in connection with the use of information provided to registered persons and other recipients of information by Disclosure Scotland under Part V of the Police Act 1997, or the Protection of Vulnerable Groups (PVG) (Scotland) Act 2007 for the purposes of assessing applicants&apos; suitability for positions of trust. Therefore, this post is classed as undertaking restricted work with protected adults that must be covered by the successful candidate having undertaken a satisfactory- PVG Scheme Record for Restricted Work with Protected Adults. PVG provides a framework for the maintenance of a list of those who have been barred from working with protected adults. Any individual who has &apos;been listed&apos; or &apos;put on the list&apos; will be committing a criminal offence if they do, or attempt to do; regulated work with protected adults. This is an exciting opportunity to head up the Stigma Free Lanarkshire team based in Motherwell, Lanarkshire. Building on a history of vigorous campaigning against mental health stigma, and working in partnership with See Me Scotland and NHS Lanarkshire, the Stigma Free Lanarkshire programme is leading in the planning, delivery, monitoring and evaluation of an ambitious programme of change at a local level. We are looking for an enthusiastic, focused and motivated person who understands the issues surrounding mental health stigma and is passionate and serious about tackling it. You will have experience of managing a team of staff & in project delivery. As Stigma Free Lanarkshire Co-ordinator you will work closely with Lanarkshire Recovery Network, NHS Lanarkshire and See Me colleagues, and other key stakeholders, in the overall management, planning, implementation, delivery & evaluation of the project across four areas: health and social care, communities, the workplace, and education and young people. In addition, embedding a rights-based approach, you will ensure the project’s aims are achieved to create inclusive systems, culture and practice as well as encouraging opportunities for contact between those who experience stigma and those who perpetrate it. This project is funded by NHS Lanarkshire and See Me. It is hosted by the service user and carer organisation, Lanarkshire Links, whose purpose is to support mental health service users and carers to be involved in the process of planning and provision of mental health and social care services. Secondments will be considered but must be agreed with existing Manager prior to interview. A full driving license & access to a car is essential. 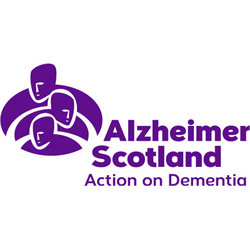 The Community Activity Organiser will plan, develop and facilitate the operations of community based groups for people living with dementia and their families and help maintain the person’s social activities, relationships and community connections. Occasional evening and weekend work may be required and a driving licence and access to a vehicle is essential to the role. Successful candidates will have a positive approach to dementia supported by excellent communication and networking skills and an empathic, positive attitude. Having a creative flair and being a self-starter would also be an advantage as well as having experience of working with people with dementia. A willingness to develop through ongoing learning is essential. In January 2017, SAMH introduced a new suite of services throughout the whole of Aberdeenshire to support people with mental health problems and those with Autism on their recovery journey. These new and exciting services will look and feel very different to the traditional models of support and will be based on fundamental principles of empowerment, resilience and hope. As SAMH embark on this exciting new pathway, we are seeking outstanding people to begin developing and delivering these services across Aberdeenshire. To successfully embed the 6 elements of our new peripatetic service, SAMH are seeking flexible, enthusiastic people to work with individuals, groups and volunteers within local communities across Aberdeenshire. Using your practical knowledge and experience of horticulture or gardening and your understanding of mental health issues you will support people to achieve their goals and outcomes in a therapeutic horticulture setting. A car driver and owner is essential for this post. Applications are welcome from people who have experienced mental health difficulties. A PVG check is required for this post, along with a Right to Work in the UK check. Candidates will also be required to provide proof of qualifications.